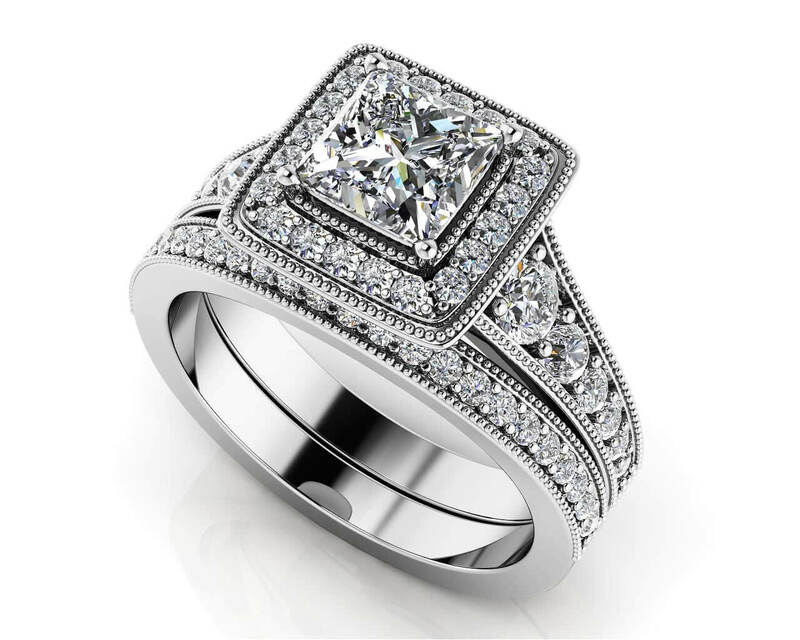 This diamond engagement ring features a stunning princess cut diamond set with four prongs and surrounded in a halo by smaller diamonds. 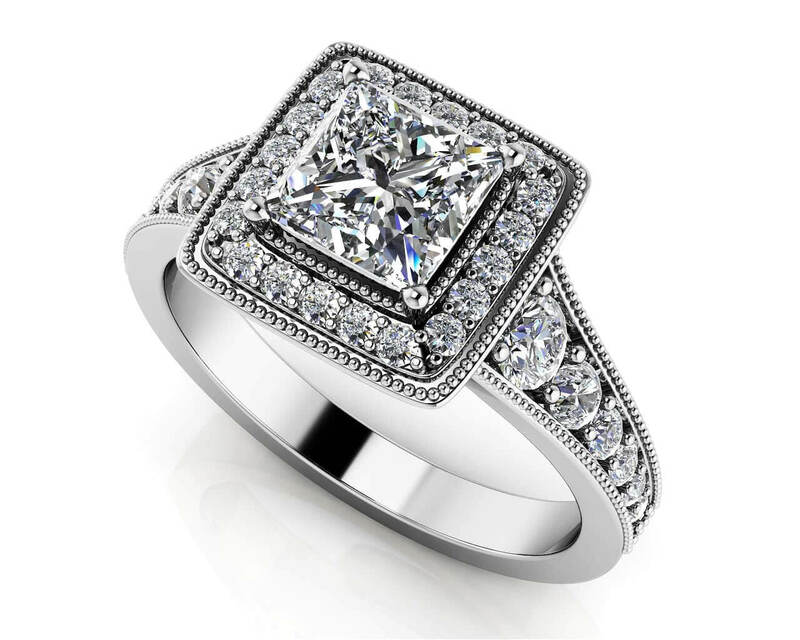 The ring head has a complimentary square shape to it, which further enhances the beauty of the princess cut diamond. 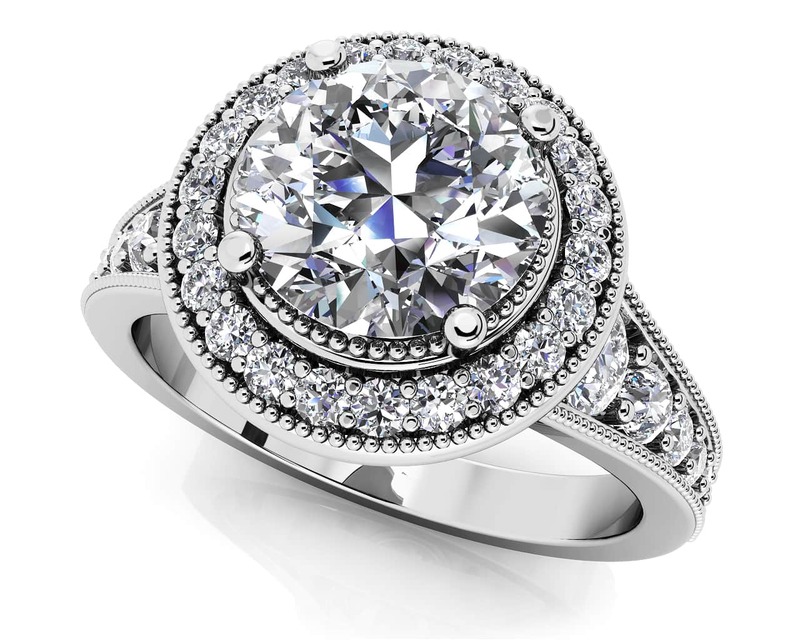 This ring features more round diamonds set half way down the ring shank in a graduated fashion from larger diamonds to smaller going down the band toward the finger. The millgrain edging compliments the diamonds and creates a unique and sparkly design. Customize this ring in your favorite metal type and choose between six center stone sizes for a look all of your own! Stone Carat Weight: 22X.008 ct., 2X.010 ct., 2X.015 ct., 2X.020 ct., 2X.040 ct., 2X.110 ct.